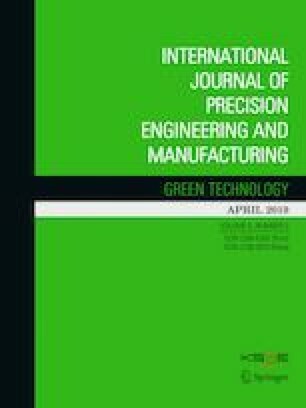 Microtextures were successfully fabricated on the rake face of the cemented carbide (WC/TiC/Co) tools through inductively coupled plasma etching technology. Two types of microtextured tools were designed and fabricated. Their performance in cutting the AISI 1045 medium carbon steel was tested and compared to that of conventional non-textured tools. The comparison involved cutting forces, cutting temperature, friction coefficient, tool wear, chip adhesion, and machined workpiece surface roughness. The results show that microtextures on the rake face of the cutting tool can make the cutting process more stable than a conventional non-textured tool, and different textures may be suitable for different ranges of the cutting speed. In the latter range 100–200 m/min, microtextures significantly reduce the cutting force, cutting temperature, friction coefficient at the tool–chip interface, while the anti-adhesion property of textured tools and the surface quality of machined workpieces attain their maximal values. The effectiveness of textures is shown to be affected by chip adhesion and blockage resulting from derivative cutting, which appears at high cutting speeds. Moreover, the violation of the structural integrity of textures and their damage can strongly deteriorate the cutting process at low cutting speeds. This work is supported by National Natural Science Foundation of China (Grant no. 51505399) and Natural Science Foundation of Fujian Province of China (Grant no. 2017J05088).